Is it time to do some home renovating? Sometimes home renovations do not need to be put off due to financing concerns as you can obtain a low interest home equity loan or home equity line of credit. For smaller repairs and renovations, some building supply stores such as the Home Depot will allow you to delay paying the balance of your purchases for up to a year depending on the promotion, usually on purchase amounts over $300 charged to a current Home Depot card. The caveat with these types of programs is that if you don’t keep an eye on the expiration date of the program, you can be back billed all of the foregone interest at ridiculously high interest rates. The safer and more manageable way to finance interior home renovations is through a HELOC or home equity line of credit. Your Burlington mortgage broker can help you get the lowest rates on a line of credit by shopping different lenders for you and at no cost to the borrower. Home renovations can actually put value in your home, especially upgrading kitchens and baths. Basement finishing in Toronto can also increase the value of your home, but such a larger project should be left to professionals that can do the framing, drywall work, electrical, plumbing and other services needed to complete a quality basement renovation or finishing. In the G.T.A., contact Carcone Construction for a quote on your basement remodel – JC Carcone has been in the construction business for over 30 years and is a local, reliable company that will get the job done on budget and on time. 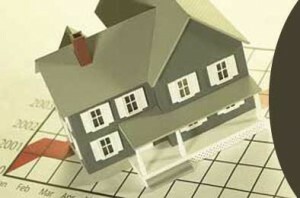 For your mortgage or home equity line of credit in Burlington, contact Lee Anne Taylor at www.homeloansontario.ca . Of course you can start a tax free savings account and plan ahead for a few years until the renovation costs can be saved, but if you get a low interest rate and have plenty of equity in your home, you can get the home renovation completed sooner. Winter months are a great time to have your basement remodelled as contractors are available that cannot complete outdoor work during the cold winter months. Interest rates are poised to rise, so keep that in mind when borrowing against your home, or inquire into a fixed rate option. You can also find out about CHMC Purchase Plus improvements program that offers CMHC insured loans to cover coasts of major home renovations and home upgrades. Renovations can increase the liveability of your home, increase the value, decrease the amount of time the home would be listed for sale in the case of a pending sale and most of all get your home into top shape.